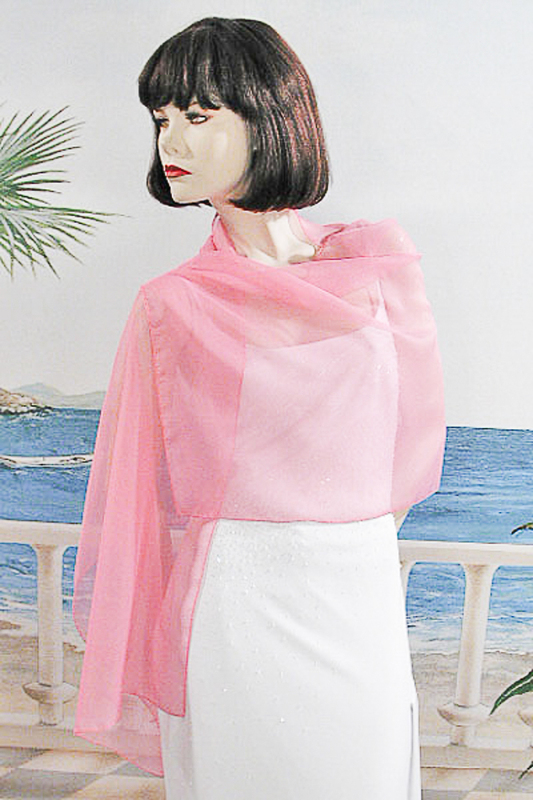 Chiffon Shawl Wrap Scarf for Special Events Weddings Proms These beautiful sheer chiffon evening scarves are also worn as a light shawls. They come in a wide range of colors and are perfect to add a little warmth and style without taking away from your evening look. They may be tied or draped over the shoulder. For the best look they can be secured with a brooch or clip. Often worn at weddings to give the bridesmaids a more modest look. They are available in over 50 colors. Color: bright pink Hue: Code: #ff97c1.